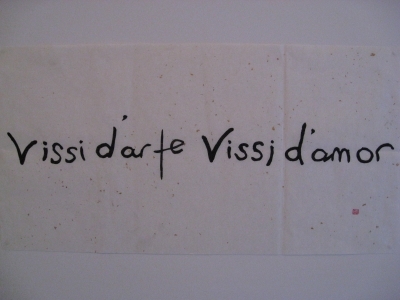 These words are Italian; Vissi d'art, Vissi d'amor, which are from the opera Tosca by Puccini. 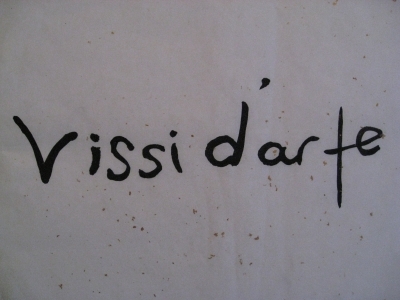 The words mean I lived for art, I lived for love. 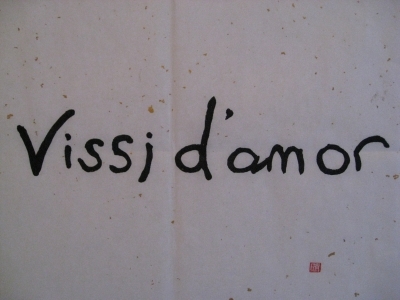 Sung by Tosca Sefore. She commits suicide. She is reflecting that every choice she has made in her life has been for her art (She is an opera singer) or for love. These are Ms.Marcella Caprario's favorite words. She is an English teacher, an opera singer , American and in her 30's.